I love building gardens. Having a garden is a glorious thing, but when you also get to build the garden the way you want it, well, that’s just icing on that cake. And I do love icing. And cake. Not having a garden for the past couple of summers has been a real drag. 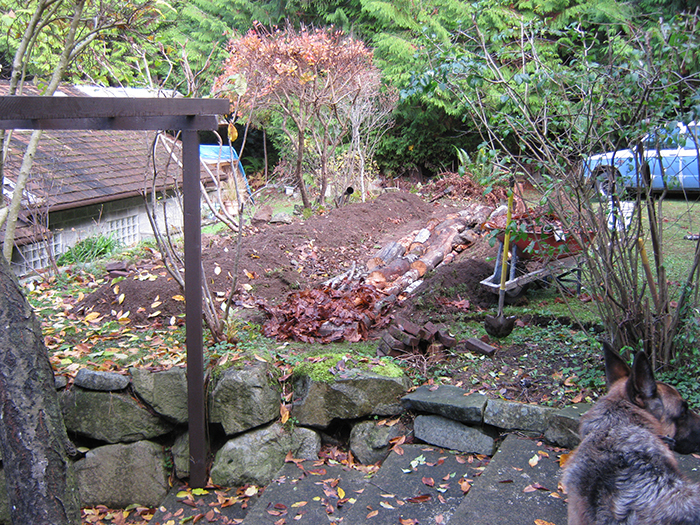 But I got to build a garden this fall on a friend’s place on the Sunshine Coast, BC (my new neighborhood), and it’s been heaps of fun. Can’t wait to start eating some veggie goodness soon. 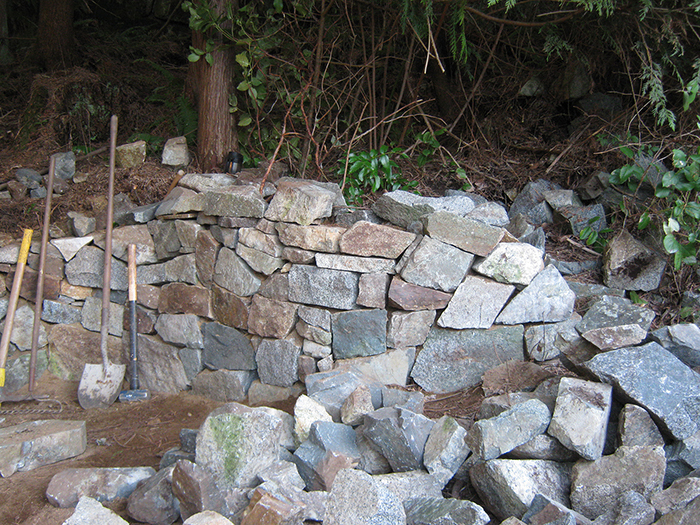 I did this garden similar to how I built the garden on Cortes Island (read about it here, but with a few differences. 1. It’s smaller (about 400-ish square feet of growing space). 2. I got to build it the way I wanted to build it, using the materials I wanted to use. 3. I had an enthusiastic and helpful person to work with. So! How did I build my garden? Oh, I’m so glad you asked. I mean, I was gonna tell you anyway, but I thought it sounded polite to pretend you asked. 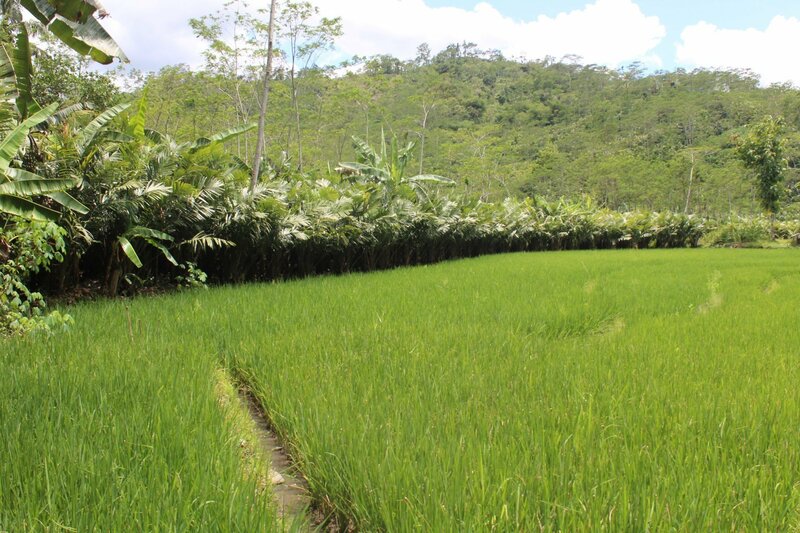 Being able to build it in the fall was great, because it has had a few months (the rainy season) to soak up water, break down some of the organic matter, and settle a bit before spring planting. The soil is a silty sand. And rocks, of course. And roots. 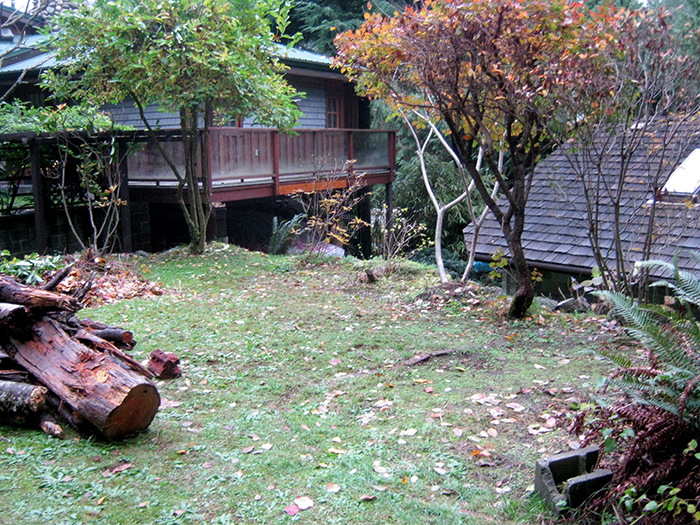 The area where we built the garden was created when my friend developed the place (many many moons ago) and pulled soil from around the property (which was pretty heavily treed, where it wasn’t solid rock, when he bought it), and created a terrace. So it is a mix of the soils on the property. It’s fairly decent for sandy soil. Lots of earthworms, too. I was pretty stoked about THAT. The main limiting factor for this garden will be sunlight. The property is surrounded by cedar and fir, so it’s kinda dark. But he did a bunch of tree topping to let in more light for the garden. And there will be sufficient light to grow most things. They will probably just grow a little slower. But they’ll grow. He pretty much gave me the freedom to build the garden the way I wanted. Then he built a lovely fence around it to keep the deer and the dog out. His dog really loved all the comfy beds I built. He laid on them every chance he got. Leaves - we went out and gathered 4 truck loads of maple leaves, along with some of the leaf mould that was developing under the trees. 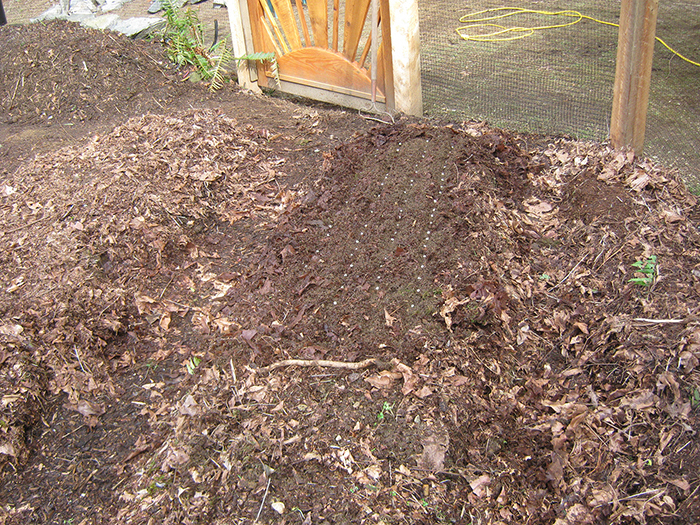 We mowed the leaves to mulch them, and used them inside the beds, as well as on top for the final mulch. Manure - he has a friend with horses! So he got a couple truck loads of manure. Real nice stuff. 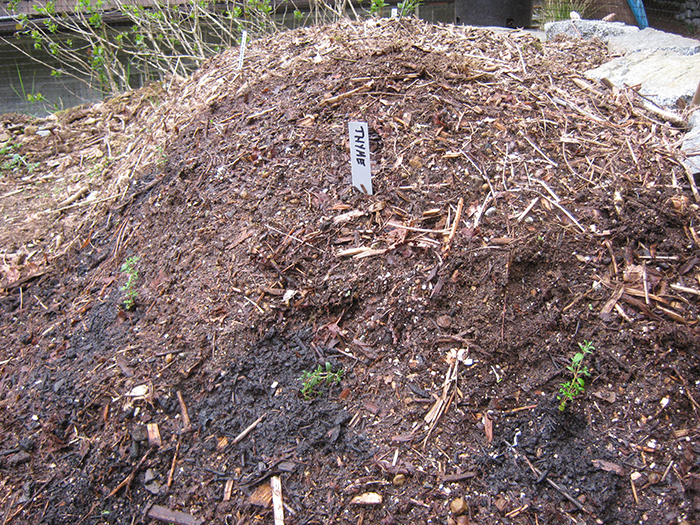 He also had an old ‘compost’ pile made of sawdust, grass clippings, and general bits and pieces. Nicely aged, and it went on some of the beds. And we’ve been collecting seaweed. AND! One day, when we were out looking for secluded places to gather green stuff for the compost this summer, we came across a gold mine. 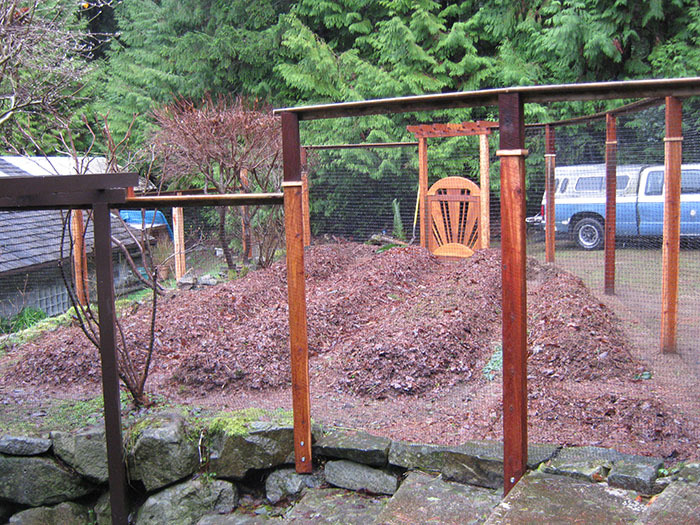 Well, not an actual gold mine, a compost gold mine. Big piles of old wood chips that had been breaking down for at least a year or two. Really getting that ‘soil’ smell. Yum. We checked the area out, decided that it was unlikely that there was any toxic gick in it, and we started loading up the truck. We’ve gotten 5 truck loads so far, and there’s lots more. 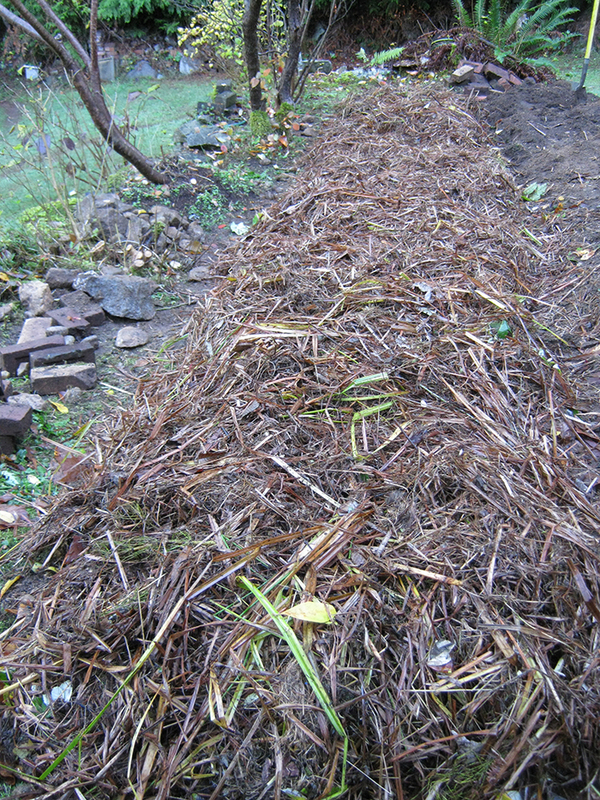 So, there we were, with piles of manure, wood chips, seaweed leaves, logs, grass, etc. and I was rubbing my hands together with glee. Yippee! 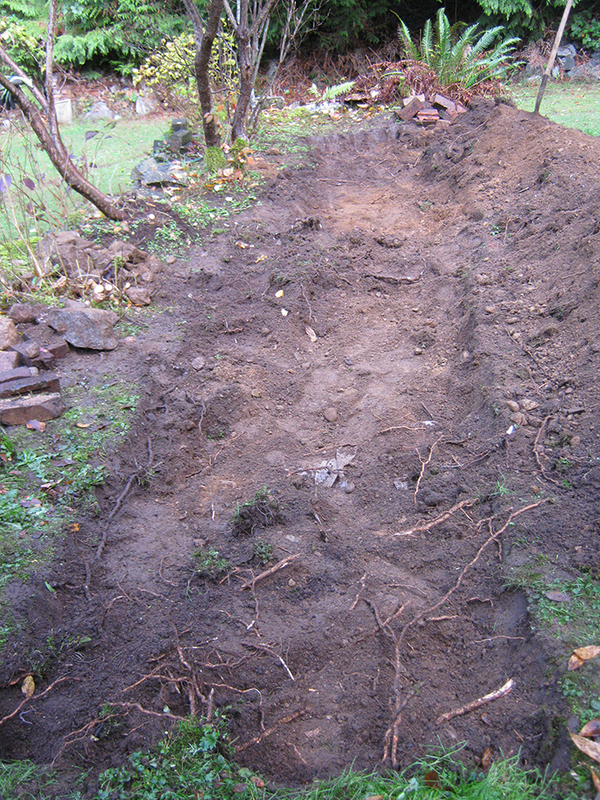 First we dug a trench about 10-12 inches deep, and about 3.5 feet wide. Then I laid in the logs. 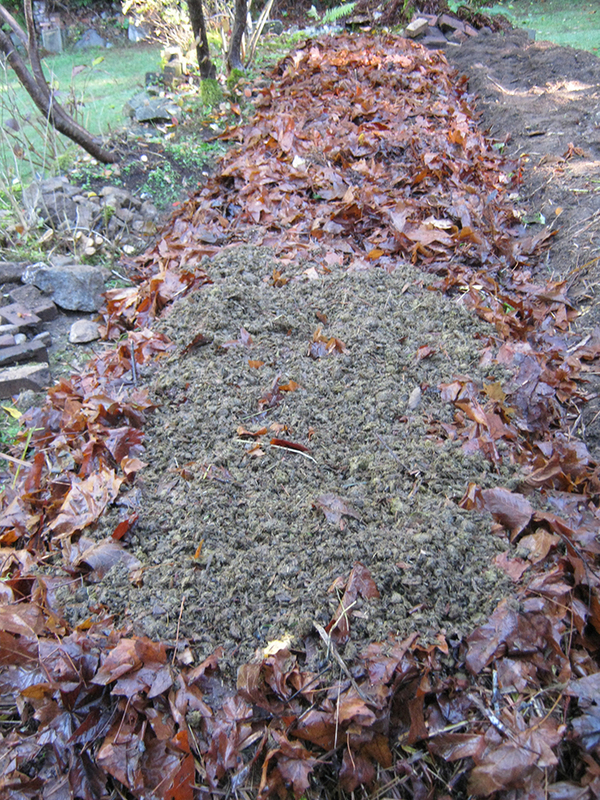 I layered the soil, manure, leaves, and grasses until the bed was about 3 feet high. Then I did 2 more beds just like that. 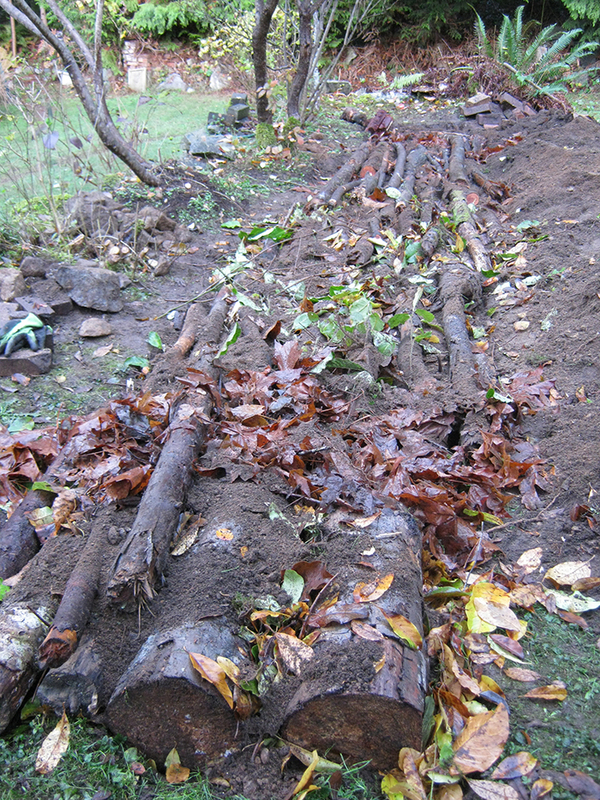 I was careful to tuck the organic matter and soil into the bigger spaces between the logs as much as I could, so that the beds won’t settle too much. 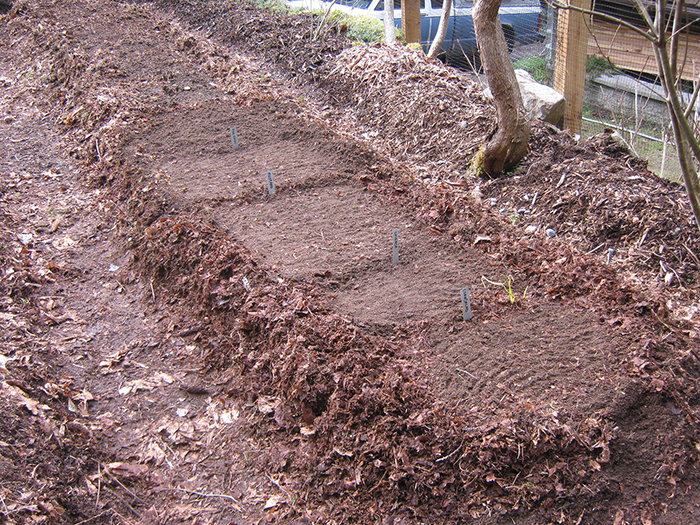 But they will settle a bit, and the beds will have about 4 to 5 feet of growing space across. The beds are about 22 feet long. 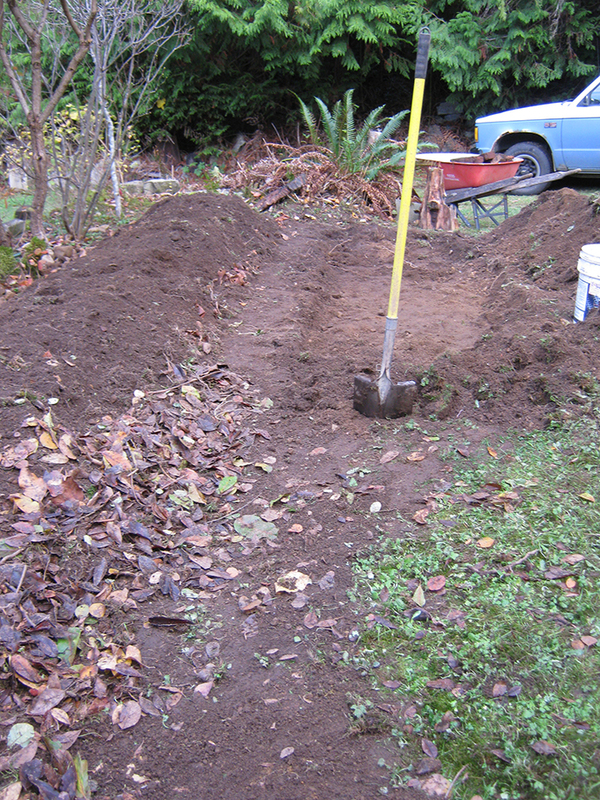 There is also another bed that I added at the end, about 2 feet by 18 feet. He decided that having more garden space was more important than the lawn. What a smart lad he is. And there are a couple of smaller beds in two corners, as well as the space around the edge of the garden, which will be planted with perennials, flowers, herbs, and things that attract beneficial insects. It’s gonna be a beauty! I’ve already created a layout for the garden (which I change and rearrange every time I look at it, of course), and have set up a planting schedule, so I know what to plant when. 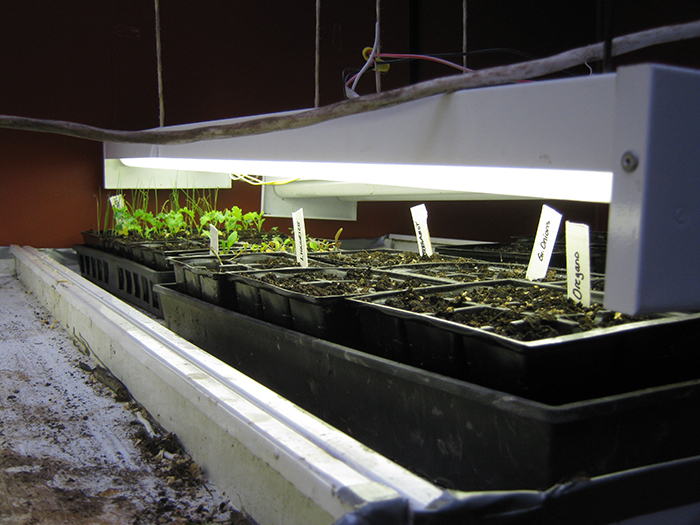 He has a small shed that we have set up as the grow shed - lights and heat for the plant starts. It’s perfect. We redid the beds in the greenhouse, too. The boxes are quite deep, and we used the same materials as in the garden - wood and leaves and manure, plus the soil that was already in the beds. Should be an absolute jungle in there this summer. We’re also doing tomatoes and peppers in pots on the deck, where there is enough sun to keep them happy. The pots have also been filled with the same materials as the greenhouse and garden. I was pretty excited about the prospect of planting peas in February, until . . . winter came callin’. And it didn’t knock politely at the door and wait to be invited in. Nope, it came crashing in like a rampaging bull, and hung around far longer than I would have prefered. It’s February 27, and we still have snow in the shady areas, and it dips down below 0˚c every night. Very rude. I left the north to get away from this weather! 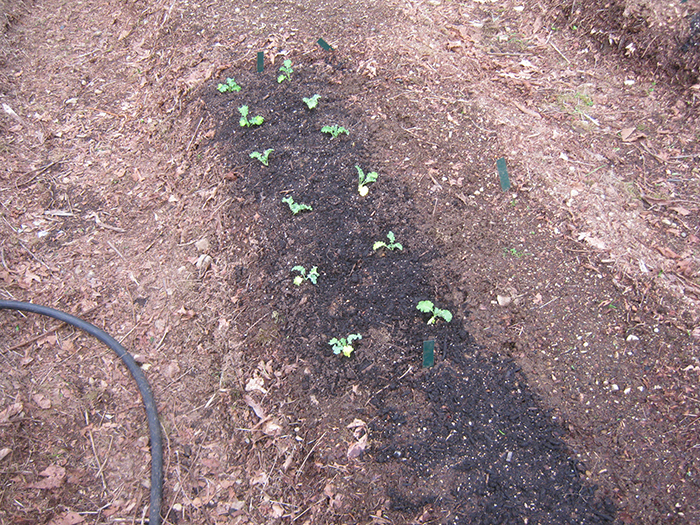 But I have seeds started, and will be planting some stuff in the greenhouse soon. The snow is melting in the garden, and I’m hoping to be able to sow some seeds out there soon. Well, soon-ish. 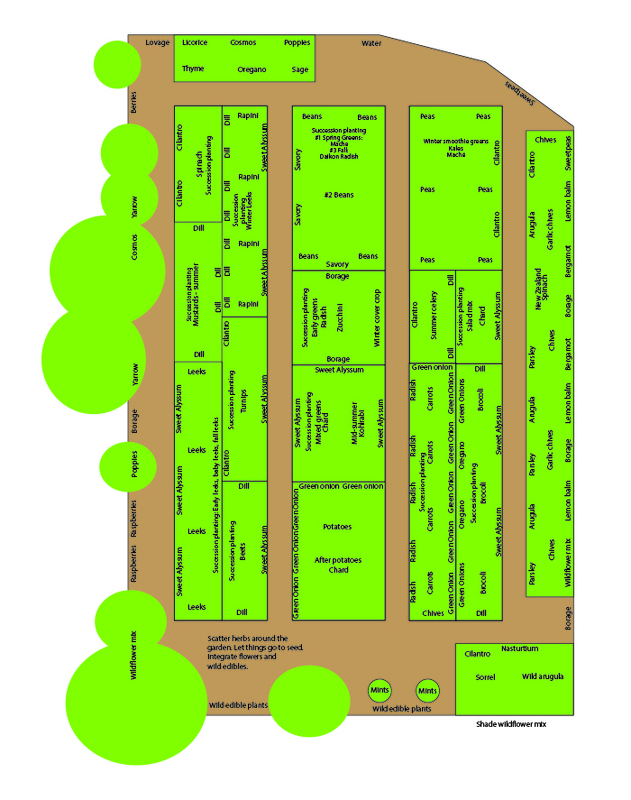 In the meantime, I am dreaming garden dreams, and rearranging the layout of the garden plan once again. Just because I can. I’ll keep you updated on the progress and successes (and failures) of this new garden. I want to document how much food can be grown in this small garden. 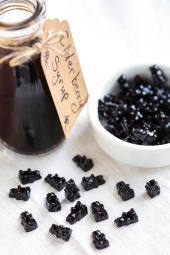 I plan to utilize space and time as intensively as possible; and will to do quite a bit of food preservation. So it will be interesting to see how much of our food this garden will provide over the next year. I hope spring finds you out in the garden, growing your own scrumpdillyicious food. Fantastic! Just beautiful. Thank you for sharing that. Thank you! I'm glad you like my little slice of paradise. Teri: I'm so glad it inspires you. 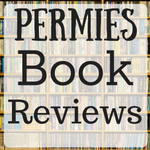 That's what I think Permies is all about. If you have any questions, I'll do my best to answer them. I got my seeds from West Coast Seeds. I like them because they’re somewhat local, and they have a lot of good growing information on their website, such as planting schedules; and they offer quite a few Organic seeds. They also mention the varieties that grow well here on the west coast of Canada, which is helpful. Plus, they sell them at the local nursery, and they will make special orders if it’s not something they normally order. There are quite a few heritage and organic seed companies that I would like to buy from, and hope I can do that next year. I’m going to grow quite a few things this first year, to see which ones do best in these garden conditions. Plus, I’m a seed addict, and I can’t help myself. 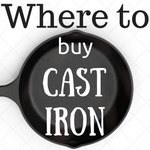 Here’s a list of the things I’m growing this year. 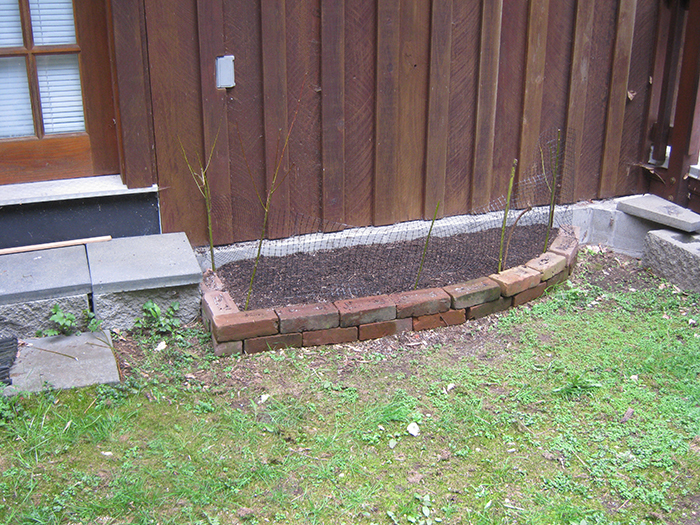 Plus, I want to plant a few berry bushes along the edge - probably raspberries. Yum. I do want to plant lots of perennials, so I’ll be on the look out for things that will grow well here. I’ve worked out a pretty intense planting schedule, so I can take advantage of every minute of the growing season. Lots of succession planting will be happening. Whenever something gets harvested, something else will be popped in. I’ll be doing plenty of starts (already have some going), but will also be direct seeding whenever I can. 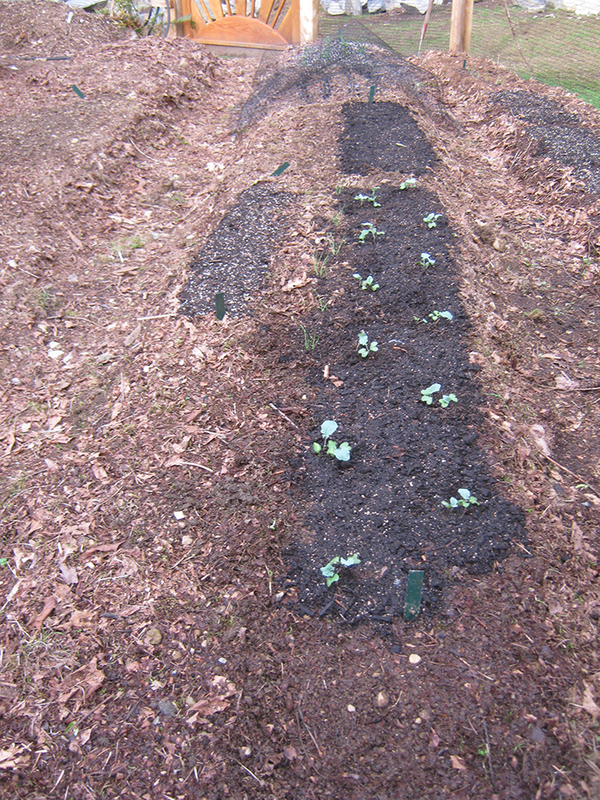 Also, going to try some overwintering things - leeks, carrots, and hopefully some kale. Because light is a limiting factor in this garden, I have tried to get the varieties with the shortest growing season, to try to make up for the fact that things will generally grow a little slower because of fewer sun hours. It will be interesting to see which varieties do best. As for pest control - well, I’m a big advocate of companion planting and polyculture. Planting things in groups, but doing lots of interplanting to help confuse or repel the little beasties. I’ll also be planting lots of flowers to attract pollinators and predatory beasties. First year gardens are generally pretty good as far as pests go, if there aren’t lots of other gardens around. And that’s the case here. So getting the pest control plants in place this year will hopefully make next year better. One thing I might have to contend with is slugs. I’m used to gardening up north where slugs aren’t a big issue. 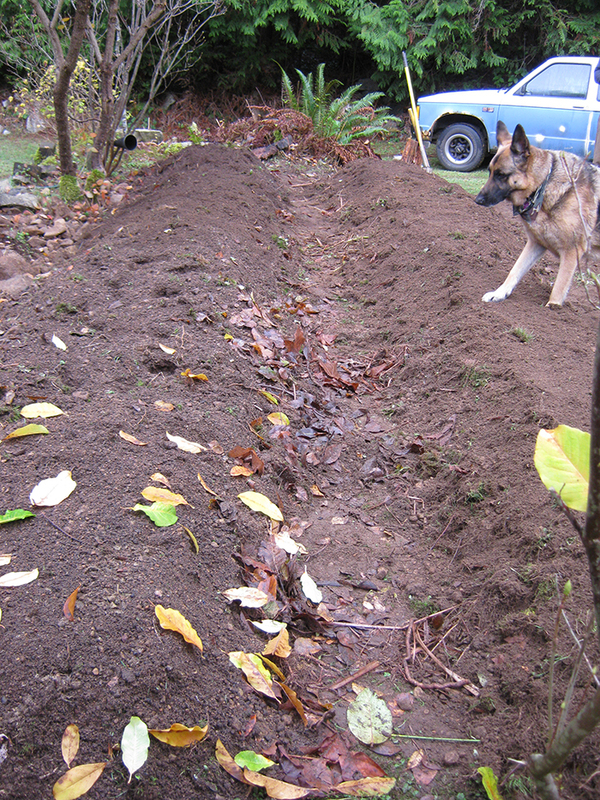 My garden on Cortes Island didn’t have a slug problem, but I’m not sure how it will be here. But I’ll be putting a few different things in place to get ready for the starving hoards, should they decide to put in an appearance. Roll out the salty welcome mat for the little buggers. 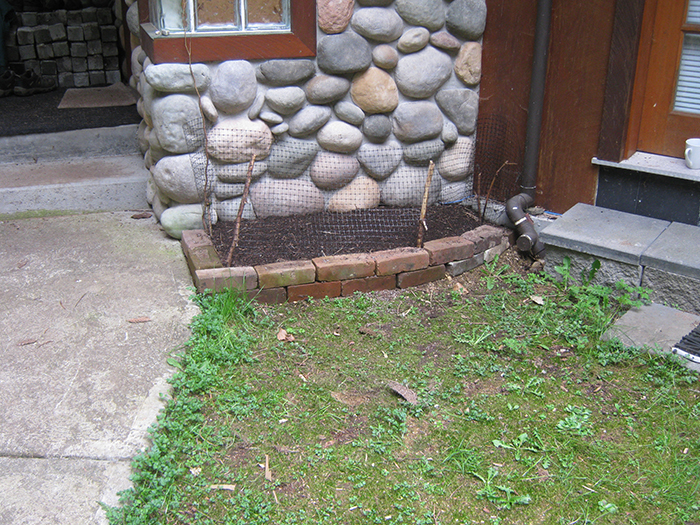 There are also some small beds that I put in near the front door, which are mostly shady. So it will be interesting to see what plants I can get growing in there. It will be mostly ornamentals, of course. Bleeding Hearts, Lily of the Valley, and Hosta will figure prominently. We plan on doing quite a bit of food preservation, as I expect this garden will produce more than enough fresh veggies for two people. 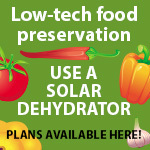 Fermenting and dehydrating will be my preferred method of preservation, but I might do a bit of canning, too. And that’s my grand garden plan! 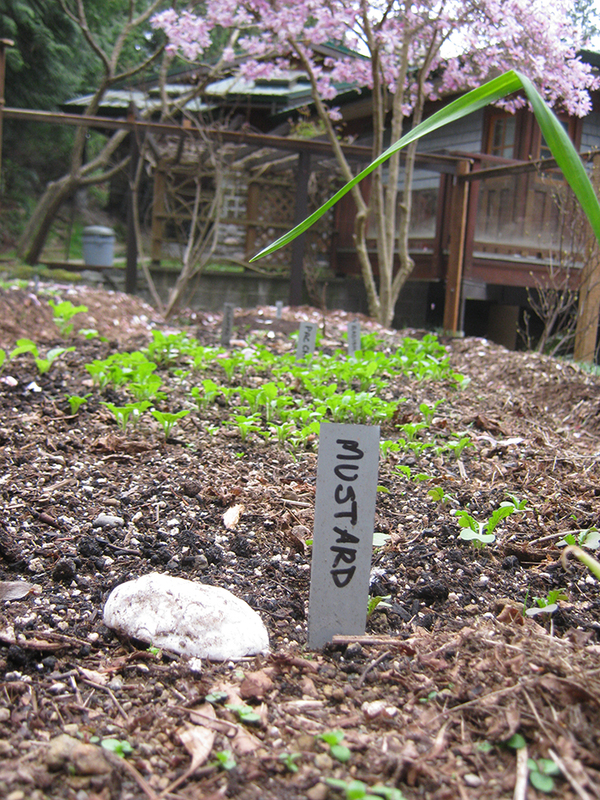 Very much looking forward to getting seeds in the ground, and watching the garden come to life. You just need to somehow convince the person that you need ducks. They eat slugs, lay tasty eggs, are cute, and don't crow like a chicken. Even 2 or 3 ducks would take care of your slug problem. They only need to be slightly near the garden to destroy the slug population. I only spot a slug every few months on my property...and 1/3rd of my property is a wetland. Before I got ducks, there were slugs EVERYWHERE. We still see them when we leave our property, but it's a rare day that we see them on our property. 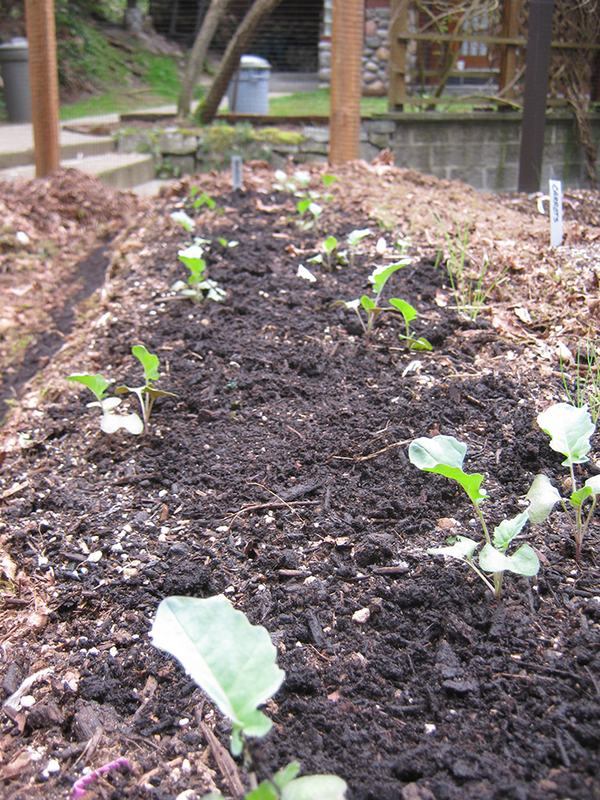 Coffee ground also seem to deter the slugs too. They aren't perfect, but they help. Sluggo is also effective, and is organic, and it does stop the slugs better than coffee grounds. You could use sluggo where the itty bitty plants that slugs LOVE are growing, and use coffee grounds for the stuff they don't like as much, or are more mature. Or just get ducks! Unfortunately neither of us drink coffee. But I have been saving egg shells, baking them, and grinding them into small pieces, and am hoping they will help protect certain plants. Also, he has lots of old copper pipes and wire, so I'll be trying to place those in strategic places. I've read that they don't like copper. I'm also going to be planting hosta in areas away from the garden - I've read that slugs really like hosta. All kinds of bits of pieces of info I've gleaned will be tried, and we'll see what works best. We don't drink that much coffee (I don't drink any, and for two years my husband didn't drink any). But, my husband swings by grocery stores that have coffee stands and other coffee stand, and gets big bags of coffee for me. I don't know if there's any coffee stands near you, but they might be a good source of coffee grounds if they're not too far out of your normal route of travel. New gardens are so much fun. This one looks great. I think it's awesome that you are helping someone else learn to grow their own food. The plant list is interesting. Quite similar to mine with some differences due to climate. Less lawn, more food is a worthy goal. I got carried away with garden maps during some rainy days last week too. Might post it with pix once the maps are consolidated & "the hill" is a little further along. The Seminole pumpkin tree will be posted for sure. I want some ducks soooo bad. Decided this is not the year unless a rescue duck or five happens to come my way. Need to get the new gardens & old pastures up to par first. Need to work on predator proofing & a pond too. Guess I better go slop around in the mud while it's not raining. Spring is almost here!!! Wow!! I'm so happy to read this and see your pics. The garden looks WONDERFUL. Your friend clearly has woodworking skills, that fence and gate are lovely! I'm jealous of all the great inputs you're finding. I should really try harder. 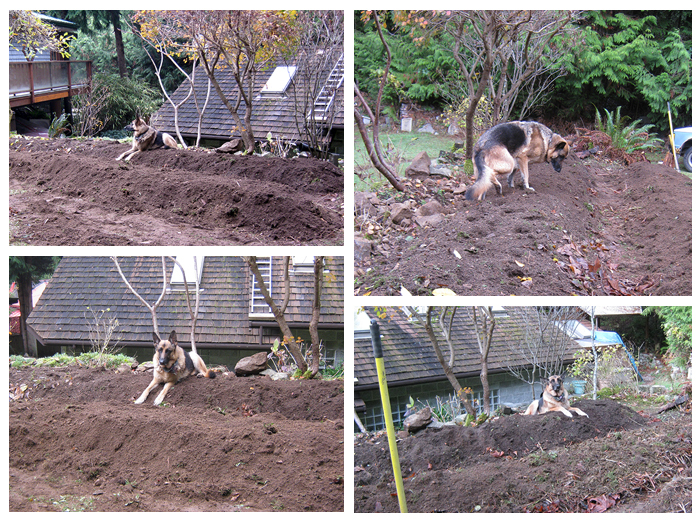 I'm building a new garden this year (I have two small beds from last year), and it will be a similar size to yours. I have a few flats of seeds started (got my west coast seeds order last week :D ) so I hope my guy and I can get the new beds built in time. 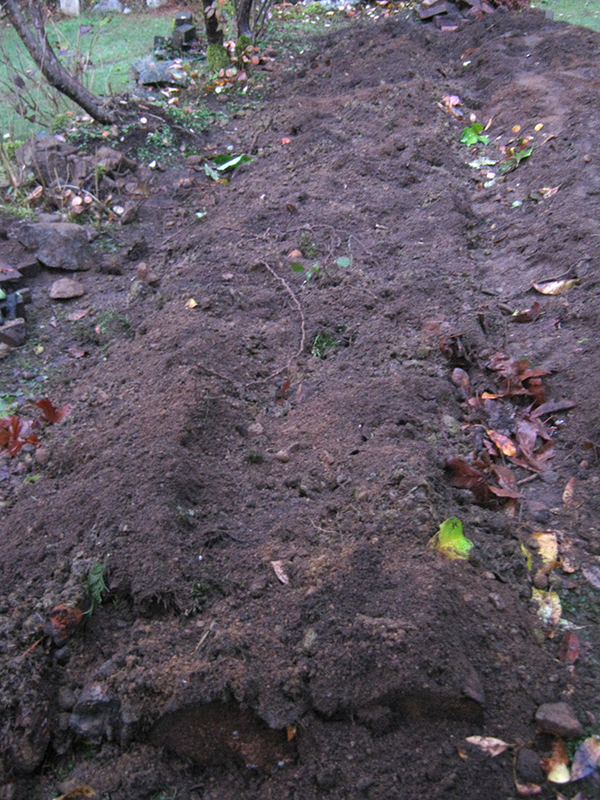 We will be bringing in soil mix from Quality farms, although my preference is to minimize the amount of bought soil, and use rotted alder and other organic matter under the beds. Do you know about Seedy Saturday next week? We are out past Langdale, on the side of mount Elphinstone. Lovely view, but our soil is basically rocks. We still have some snow here :/ so today I scraped it off the two small beds I have, hoping the soil will thaw and I can plant peas. Brace yourself for slugs. Ugh. I'd be interested to hear how the copper works. Nicole, how do ducks do with predators? Would they be able to free range and be locked in at night? Hi Mike: Thanks. Yes, there's nothing more fun that getting a new garden up and running! I hope the rain stops long enough for you to get yours happening. We've got some nice weather for the next few days, so lots of outside work getting done. Happy spring! I'm glad it's inspiring to you. Yes, he builds beautiful things. I love the gate he made for our garden. Where is the Seedy Saturday? I live up past Sechelt and have no wheels, so if it's in Gibsons I probably won't make it. But I'll try. Yes, still waiting for snow to melt. Ugh. It's a pretty shady property, so hopefully these next few sunny days will get rid of the last remnants. I hope you get your garden happening! Ooooo, cool! I just might have to get there. Thanks! Well, I think spring is officially here. The snow has melted off the garden and the soil has thawed out. We've been having some really beautiful days; and had our first cookout in the yard last night. Food always tastes so good when it's cooked outside over a fire. 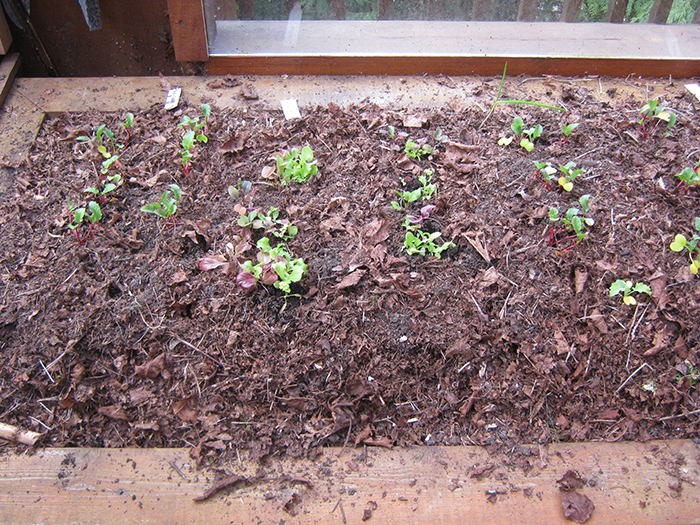 I've got lots of seeds started, and have put some transplants in the greenhouse. 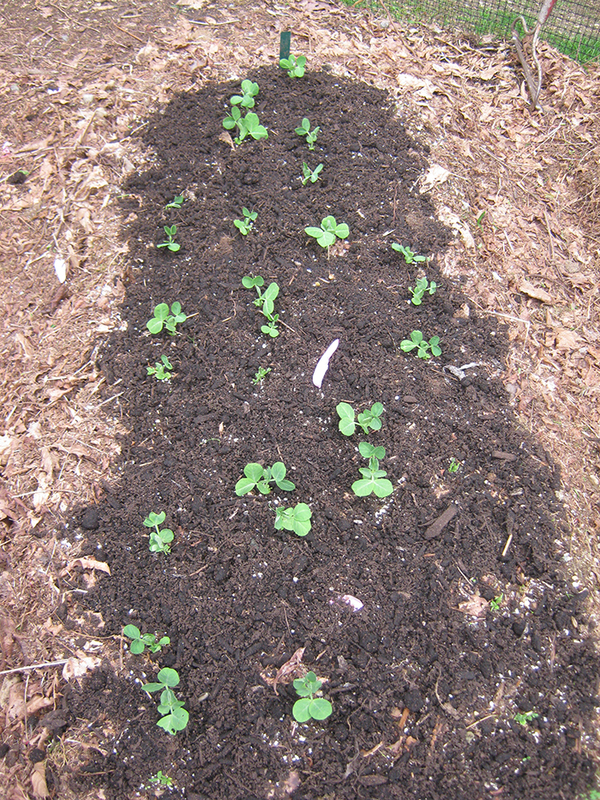 And yesterday I just couldn't resist planting some seeds out in the garden. 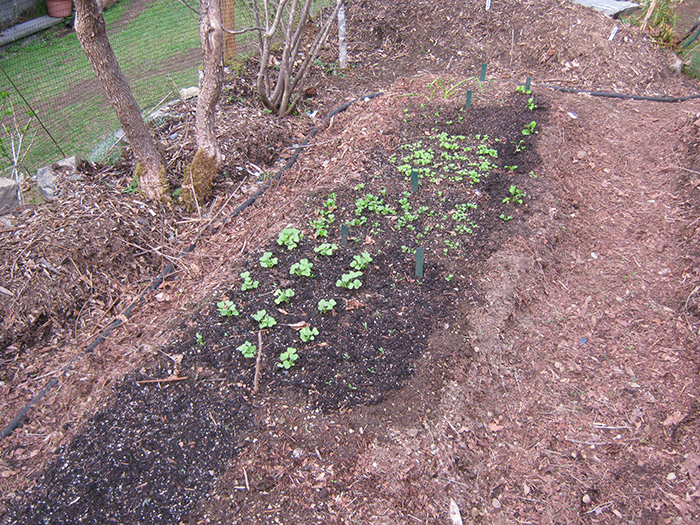 Just a few small patches of cool season greens - mustard, radish, cilantro, spinach, and maché. 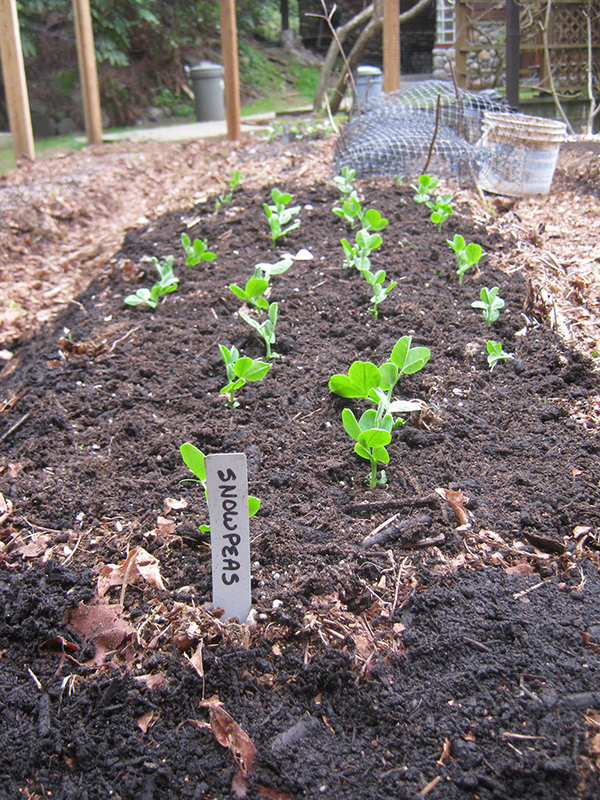 And I planted a snowpea patch. 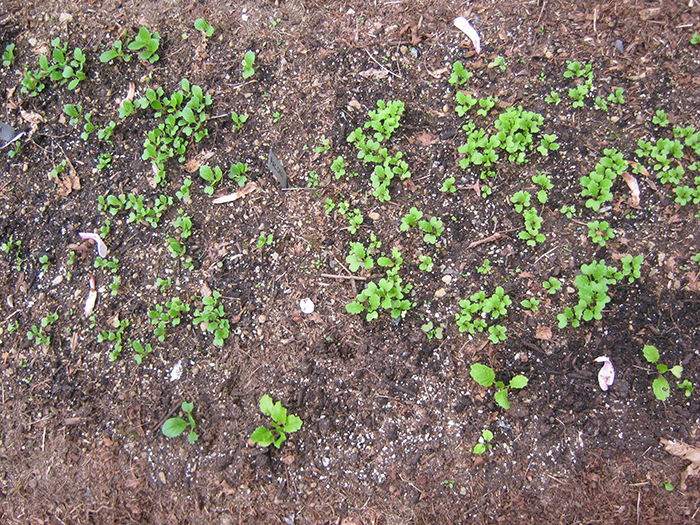 If winter decides it's not done with us yet, I've still got lots of seeds, and can replant later. But I'm thinking we're safe now. 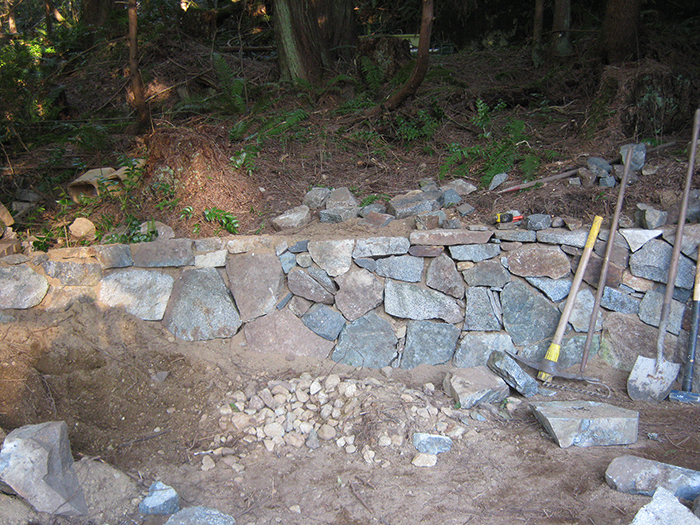 I've also been helping my friend build a rock retaining wall. We started out just working on a short wall, then thought we'd extend it a little further and build a little potting/sitting area, and then maybe just around the corner, and then . . . well, it's quite a complex we're building. Not quite finished yet, but the end is in sight. He had all of these rocks that he had gathered many moons ago and piled up along the bank, thinking that one day he'd get around to building the wall. I think that was over 20 years ago. Apparently I'm a good influence. Who knew?! The main thing is - I'm getting a potting area, and an outdoor sink! And it's a really cool old cast iron sink, too. 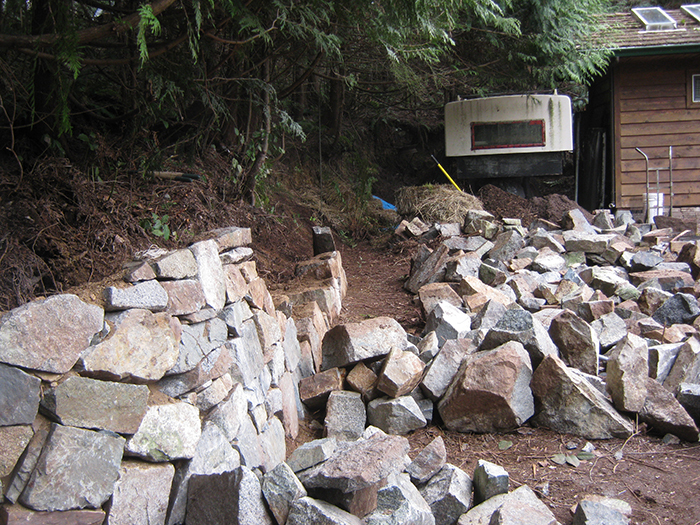 We used some of the rocks in the garden area, to build up some low spots, and make the herb corner a bit taller. It's going to be nice there - thyme, oregano, rosemary and sage. Yum. He also cut me some metal plant markers from some old steel something or other he had laying around, so I can reuse them each year. Much better than the ones we cut from milk cartons to mark the transplants. They get floppy pretty fast. These ones will last forever! So, I'm all set for seeds, mostly. Just a few more to get. And now I'm on the hunt for raspberry canes. We're going to plant some wild berries on the bank above the rock wall - blackberry, salmon berry, and probably huckleberry - then have the raspberries in the garden where the deer can't get them. Happy gardening, everyone. I hope spring has sprung, and you're out there getting your hands dirty. Wow that's a beautiful garden you have out there.. My garden is out in the forest takes time and serious effort just to get there. This is my snake fruit garden. I'm soooo jealous of that rock retaining wall! How beautiful! Lovely garden, Tracy! I've also planted a couple of flower beds, and will be doing a couple more around the yard. Right now I'm just planting a wildflower mix for shade areas. But eventually I'll have some flowering perennials in there. Pretty. 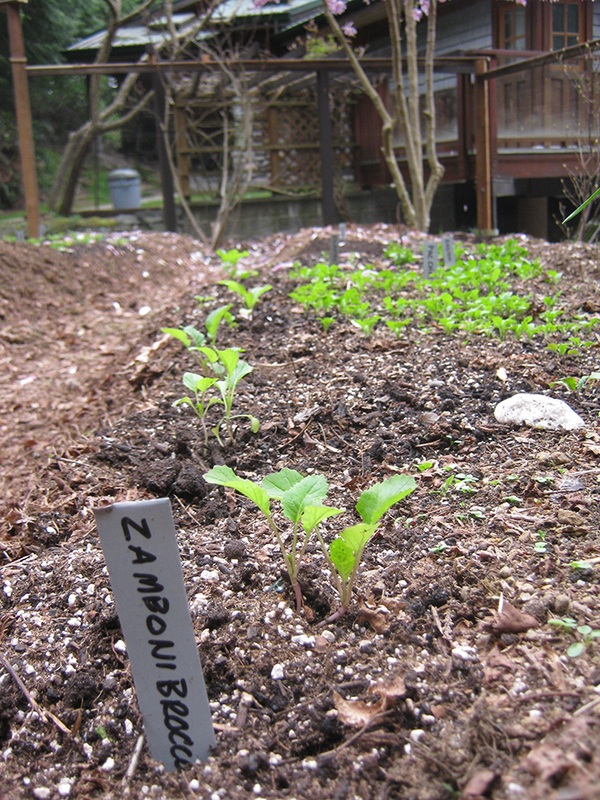 Still more to be planted next month - black beans and zucchini. Yum. I've also got starts for tomatoes (Juliet and Gold Nugget), sweet peppers, marigolds, garlic chives, bergamot, leeks (summer and winter), basil, oregano, lovage, and celery. The greens in the greenhouse are now ready for munching on. 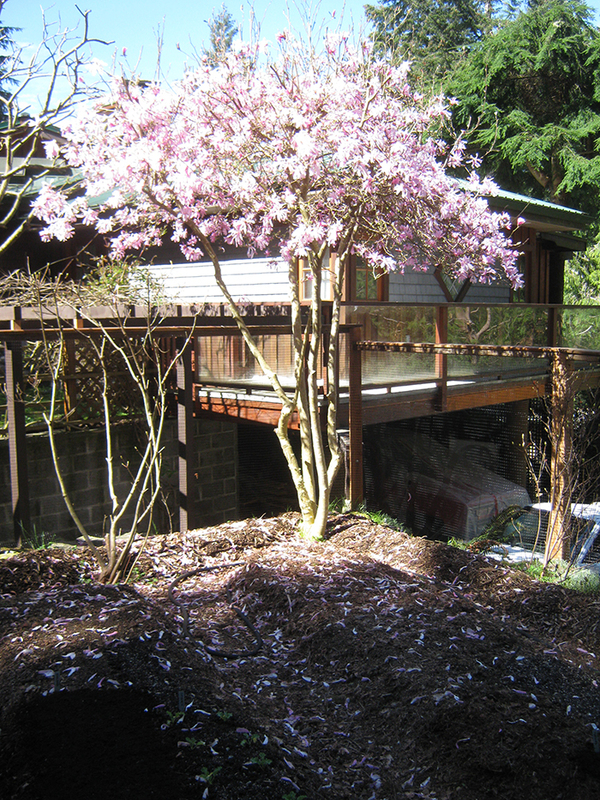 The magnolia tree is blooming beautifully, and shedding its flowers on the garden. It has been exciting sharing permaculture with my friend. He has really embraced it, and has become quite good at sourcing stuff for the compost. And he is learning about rocket stoves, too! 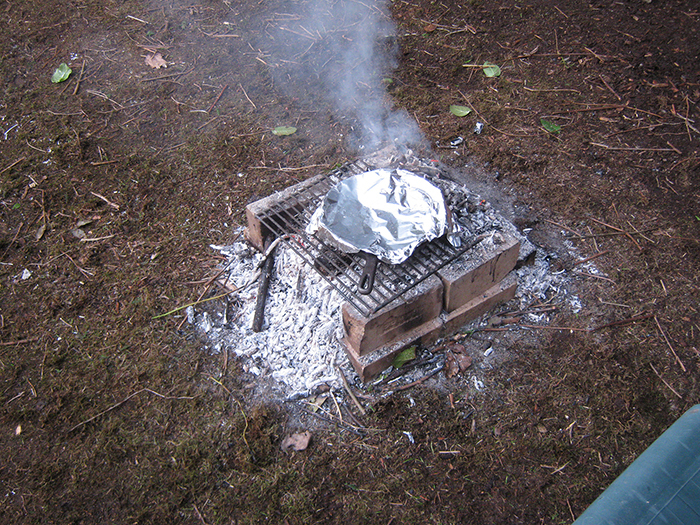 Today he built one out of fire bricks, and we heated up some stew on it. It worked pretty dang good for his first try. He's going to keep working on the design, and learn more so we can build an outdoor kitchen. I think I've even convinced him to try building a rocket oven! Pretty excited about that. 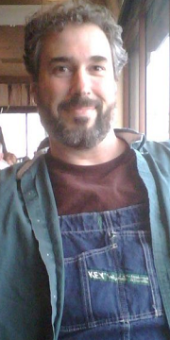 I'm so happy that he is enthusiastic about permaculture. Just today we were talking about how we can use the greywater to water the flower beds, and he thinks he's figured out a good system. Awesomeness. And it didn't take much to convince him to pee on the compost. : ) He's quite a guy. Stay tuned for further instalments! You’ve really been busy! It’s all so nice :) Those stone walls are really lovely too, well done! Mice are eating almost everything I try to plant. I’m thinking of getting a cat. Cats are essential to me having a garden. Without them, I have a mice explosion as well as an insane amount of bunnies and I literially cannot grow anything. My gardening is made possible by animals. 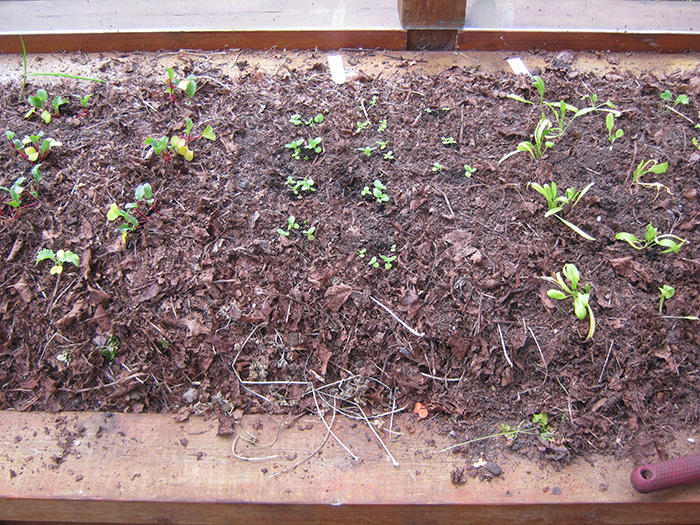 The ducks eat the slugs that would eat all my plants, and their bedding gets used at mulch and composts. My cats eat the mice that try to live off of the duck poop, as well as the copious amount of bunnies. I couldn't grow food without my feathers and furred friends! The only problem I've had so far is birds eating my pea seeds. But enough came up to make it worthwhile. For my fall pea planting I'll put a little cage over them until they sprout, or start them under cover. Next week I'll be on the hunt for berry plants - I want to have raspberries, and perhaps some haskaps, along the edge of the garden. There are already plenty of blackberries on the property, so adding in a few other berries will be nice. I picked a couple handfuls of greens for my first harvest! So fresh and delicious.